More information about the conference can be found in the Call for contributions, and on conference official web site. Renata Tomljenović, PhD attended the EDEN Awards Ceremony on Cultural Tourism and the 12th EDEN Network Meeting held in Brussels on the 22 and 23 March 2018. The EDEN Network consists of more than 500 destinations from 27 European countries, and it represents a unique and the largest network in the field of sustainable tourism worldwide. At the meeting, as one of the invited speakers she has presented the proposition of transformational tourism, its theory and practice; in the context of to the growing need for transformation of all stakeholders in tourism with the goal of achieving a vision of sustainable world of peace and harmony, as well as a sustainable tourism sector. The Croatian Sustainable Tourism Observatory (CROSTO) has become a member of the UNWTO International Network of Sustainable Tourism Observatories (INSTO). This Observatory, hosted by the Institute for Tourism in Zagreb, is responsible for monitoring sustainable tourism in the Adriatic Croatia. “Sustainable tourism development requires adequate measurement and evidence-based decision-making. We are very pleased to welcome the Croatian Sustainable Tourism Observatory to the UNWTO INSTO Network. 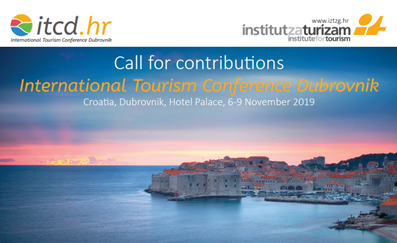 We trust it can make a key contribution to support the vision set by Croatia for the future of its tourism sector; a sector that contributes to the three pillars of sustainability: economic, social and environmental” said UNWTO Secretary-General Taleb Rifai. Izidora Marković Vukadin, PhD was a keynote speaker at the International conference SUSTAINABLE DEVELOPMENT OF MOUNTAIN AREAS - Experiences, challenges and perspectives - dedicated to utilization and valorization of natural and cultural haritage of rural settlements.. The conference was held from 14th to 16th of September, 2016 in Žabljak (NP Durmitor), Montenegro. Dr. Markovic Vukadin presentation was focused on issues of visitor management strategies in protected areas, trough balancing integration of tourism and protection. Other keynote speakers at this interdisciplinary conference were professors Giovanni Giuseppe Vendramin, jelena Erdeljan, Luka Juvančič, Benoit Esmanne, Stefano Grego, Milan Marković and Ivan Laković. This conference was organized by University of Montenegro and supported by international partners:Biotechnical Faculty, University of Ljubljana; Swedish University of Agricultural Sciences; Institute of Technologies Applied to Cultural Heritage and University of Basilicata, Italy and by the Montenegrin Academy of Sciences and Arts. Institute for Tourism, Zagreb in cooperation with the Cabinet of architecture in Ostrava, Czech and the State Archives in Rijeka organized exhibition “CZECH ARCHITECTS AND THE BEGINNINGS OF TOURISM ON THE CROATIAN ADRIATIC COAST“ which held in the Cabinet of architecture in Ostrava, Czech Republic from 16.6.2016. until 08.14.2016. The exhibition is accompanied trilingual catalog in Croatian, Czech and English. The content of the exhibition refers to the tourist architectural heritage designed by Czech architects in the late 19th and early 20th century on the Croatian Adriatic. As pointed out by one of the authors of the exhibition dr.sc Jasenka Kranjčević from Institute for tourism, the exhibition contributes to the tourist promotion of the Croatian part of the Adriatic, the knowledge of the tourist heritage and hotel architecture, but also clearly represents the role of Czech architects in the development of tourism architectural thought, thus providing a rich source of ideas for today holiday architecture. You can read more: here. 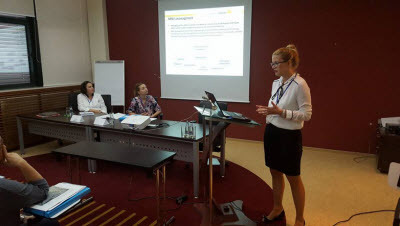 On Faculty of Architecture, University of Zagreb in Zagreb 10th June 2016 Izidora Marković, Ph.D. instead Jasenka Kranjčević, Ph.D. presented work under title „Regeneration of abandoned tourism resorts“ on the expert meeting “Strategies of urban regeneration”. You can rerad more here. 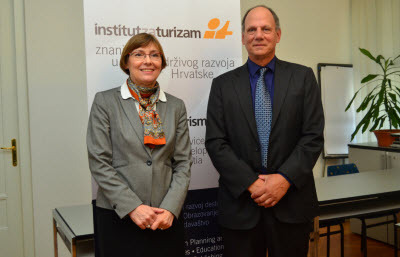 On 10th of June 2016, distinguished professor William Gartner from the University of Minnesota has presented his work at the Institute for tourism. Prof. Gartner is an experienced expert in the field of tourism, while the subjects of his research are economic growth and development, regional economy and tourism, domestic and international tourism, the creation of destination image and branding of tourism destinations. He is a professor of applied economics at Minnesota University (Department of Applied economics) and a member of the International Academy for research in Tourism (International Academy for the Study of Tourism), and a visiting professor at numerous universities on all continents. Professor Gartner knows the opportunities of tourism in Croatia very well, since he has actively participated and monitored its development for more than 30 years. 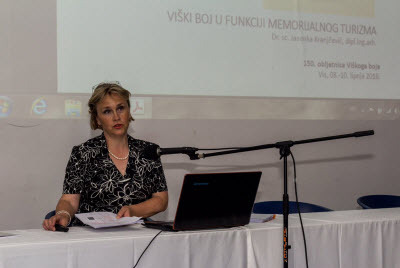 On International Scientific Conference “150th Anniversary of the Battle of Lissa”, in Lissa 9th of June, Jasenka Kranjčević, Ph.D., from Institute for tourism, presented scientific article „Battle of Lissa as a Tourist Attraction until 1918“. Main organizer of the conference was City of Split Heritage Society, while the conference was co-organized by the University of Split, Faculty of Socail science and humanities, Department of History; University of Zadar, Department of History; Croatian Maritime Museum Split; Archeological Museum of Split and Rotary Club Split. In Ljubljana in Museum of Architecture and Design open is the exhibition “Fragments of interrupted time - Unrealized projects of tourist architecture” Ph.D. Jasenka Kranjčević from Institute for tourism and Ph.D. Mirjana Kos from Croatian Museum of Tourism, Opatija. Exhibition is open until 15 th May. More information about the exhibition can be found here and here. Dr. sc. Irena Ateljević was a keynote speaker at the Belgrade International Tourism Conference 2016 (BITCO) dedicated to tourism education: Policies, Practices, Internationalisation. 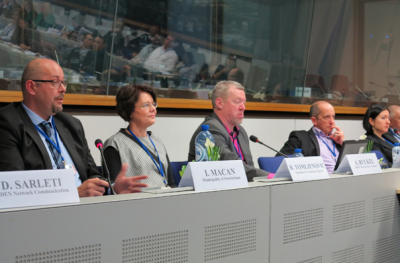 The conference was held on 18th and 19th of March, 2016. Dr. Ateljević's presentation was focused on issues of transmodernity, tourism and transformative education. The work is a part of the four-year research project TRANSTOURISM, funded by the Crotian Science Foundation (pr.no. 6164). Beside dr. Ateljević, the other keynote speakers at this important regional conference were professors Chris Cooper, David Airey and Diane Dredge.